1) BRIGHT – Despite having an otherwise banner year with noteworthy releases like Mudbound, Okja and Gerald’s Game, Netflix also barfed out its most revolting high profile creative disaster to date! Directed by notoriously problematic auteur David Ayer (Suicide Squad, Sabotage), this gritty Will Smith/Joel Edgerton fantasy cop clunker stumbles as badly as an orc at a tap dance recital. 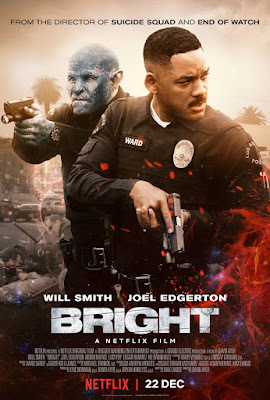 Both a boringly inept action picture and a deeply offensive commentary on race relations, Bright is two hours of drooling, knuckle-dragging bluster operating under the pathetic delusion it has relevant and thought-provoking things to say. If ever a title stood in stark, brutal contrast to the actual product, this is it! 2) TRANSFORMERS: THE LAST KNIGHT – Hard to believe it has been ten whole years since we first witnessed an Autobot pee on a dude. How far we’ve come, right? This fifth installment in the nonsensical Michael Bay series is pretty much more of the tedious same; another sadistically overlong and insipid orchestra of messy CG pandemonium, sputtering actors, juvenile gags and lecherous misogyny. While it’s debatable whether The Last Knight is the worst Transformers flick or not, it’s definitely the most lethargic and half-assed, lacking even the spark of madness that made its predecessors mildly amusing to ridicule. And if you can’t make Anthony Hopkins wielding a gun-cane while trading quips with his robot butler interesting, then why even bother? 3) THE MUMMY – Following in the clumsy footsteps of Amazing Spider-Man 2, 2017 saw Universal simultaneously launch its Dark Universe mega-franchise and kill it with a single bumbling blowout. 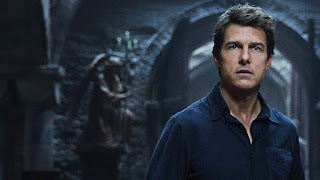 An ill-conceived and cynical patchwork of spin-off set-ups and sequel bait, The Mummy never once gives any impression the studio cared if it was good or not. Starring a curiously miscast Tom Cruise in full vanity mode (multiple characters reference the 55-year-old’s youth and sexual stamina), Alex Kurtzman’s anonymously-helmed blockbuster bomb is about as ambitious as those musty, churned-out 1940s efforts where the title character just shuffles awkwardly around the studio backlot for 60 stretched-out minutes. 4) THE SNOWMAN – From the acclaimed filmmaker of Let the Right One In and Tinker Tailor Soldier Spy came… this?! Famously declared unfinished during the press tour, Tomas Alfredson’s soggy serial killer whodunit would be forgettable if it wasn’t so fascinatingly incoherent. 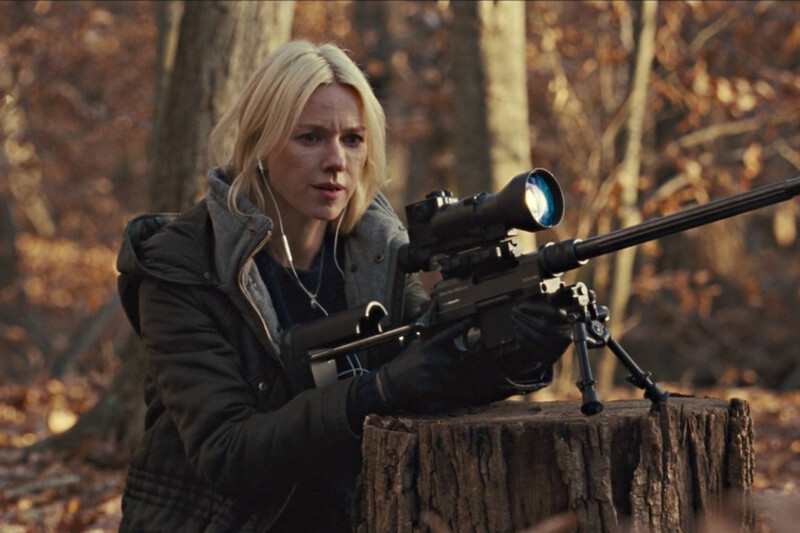 Plot threads are laboriously introduced and dragged out, only to be jettisoned unceremoniously, while great actors such as Michael Fassbender, Rebecca Ferguson, Charlotte Gainsbourg and J.K. Simmons fail to elevate their energy level above drowsy. But, on the bright side, The Snowman did gift the world with a hero named Harry Hole, so there’s that! 5) THE BOOK OF HENRY – The most bewildering effort on this list, oft-criticized director Colin Trevorrow followed up his global smash Jurassic World with this smarmy confection about a child genius teaching his flighty mother how to pull off the perfect murder via hilariously detailed audiotapes. And if that synopsis sounds like an absurd joke, you better believe the movie isn’t in on it! Gratingly precocious and totally nuts, The Book of Henry belongs in the same special crap pile as legendarily bizarre Oscar-grab misfires Collateral Beauty and Seven Pounds.